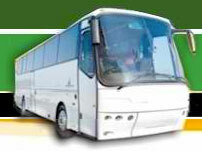 Courtesy Bus by Mandurah Bus Charters. The bus is comfortable, reliable and provides air-conditioned comfort to and from your shopping experience. You will have plenty of time for your grocery shopping and any other needs you may have. Don’t forget your lotto tickets at the news agent! Our pick-up service for Farmer Jack’s shoppers may be arranged by ringing Farmer Jack’s – ask for Matt or Cheryl at 9535 5555. The driver is very helpful and always happy to assist you. The Courtesy Bus is not a Taxi Service. During busy times some delays may be experienced. The Driver is the final arbiter of the route to be taken.